Gfinity (AIM: GFIN), a world-leading esports solutions provider, announces that it has renewed its partnership with Formula 1® for a third F1 New Balance Esports Series. The new season will commence on 8 April 2019. It has been extended to include more adrenaline fuelled racing and prize money has doubled, with the official F1 teams battling it out for $500,000. 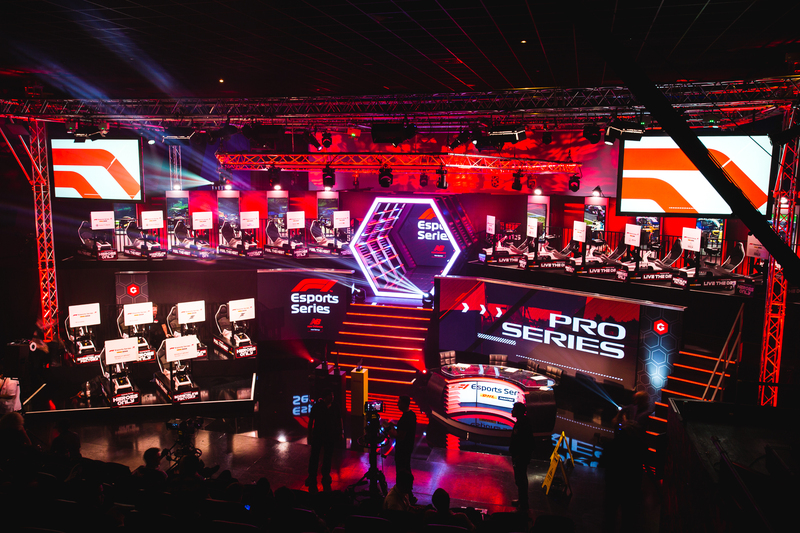 Gfinity is responsible for delivering a dedicated account management team; a full league operations turnkey solution that includes writing all tournament rules governing the drivers participation in the Tournament; player and team logistics; marketing and media support; strategy and delivery of all broadcast components of the live events; and the use of the Gfinity Arena for all live broadcasts. Like the 2018 season, which reached a record audience of 5.5 million viewers across selected TV networks and a dedicated live stream, this season will be split into Qualifying, a Pro Draft and the Pro Series. Each segment of the 2019 Series has been expanded, making this the biggest and most ambitious season yet. A longer qualifying window will give even more of the world’s top drivers and aspiring gamers the chance to compete for a place in the prestigious Pro Draft. All entrants will compete in F1 2018, the official game of the FIA FORMULA ONE WORLD CHAMPIONSHIP™, on the PlayStation®4 computer entertainment system, the Xbox One family of devices including the Xbox One X and PC. The Pro Draft will take place over two days in July and is where the official F1 teams will select the drivers they want to add to their roster to represent them in the Pro Series. A series of high stakes race-offs on day one will identify the best of the best from the drivers that qualified. The slowest drivers will be eliminated, while the fastest will make up the final pool from which the teams will make their picks on day two. Every official F1 team must select at least one of its drivers from the Pro Draft. The expanded season means that at the Pro Series, the official F1 teams and their drivers will now compete in four live events, compared to just three events last year, between September and December 2019. These races will determine the 2019 F1 New Balance Esports Series Teams’ and Drivers’ World Champions, with an increased prize fund of $500,000. “F1 New Balance Esports Series has captured the imagination of the global gaming community. It delivers incredible racing and through entertaining content, like the Pro Draft, gives fans a reason to care about the drivers. Esports fans want the back stories, the drivers’ journeys to greatness, the emotion of being chosen to represent an F1 team. And they want to experience daring manoeuvres on the track. F1 New Balance Esports delivers this. That is why a new and younger audience is embracing the F1 story. Series 3 is going to be bigger, bolder and more entertaining than ever. Sign up to get our latest news straight to your email. I agree to receive News updates from Gfinity. Get in touch with the Gfinity team, we will respond to your message promptly. © 2019 Gfinity. Trademarks and brands are the property of their respective owners. Gfinity plc is incorporated in England and Wales and its main country of operation is the UK. Gfinity makes every effort to maintain the accuracy of the information on this web site; however it can give no warranty or guarantee with regard to the information provided on the following pages. Gfinity accepts no responsibility for any loss which may result from reliance on the information contained in these pages.